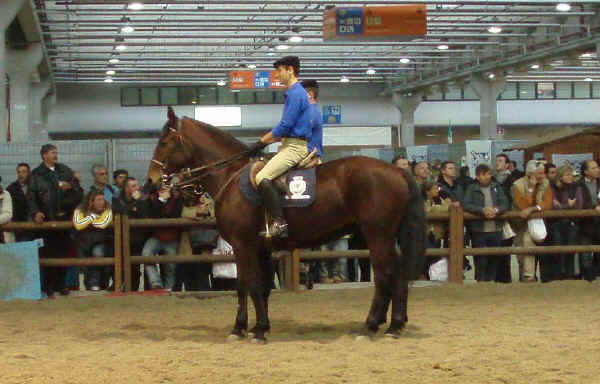 The Sanfratellano dei Nebrodi horse is an Italian breed originating in Messina (Sicily). The account of its origins is of great historical and sociological interest. It was not a “padronal breed”, raised by a noble or baronial family enjoying ascendancy during a certain historical period, but rather a population of horses connected to the people and history of a particular part of Sicily. Today, as 1000 years ago, the Sanfratellano di Nebrodi horse lives free and well-protected in its “cradle of origin”, a Natural Park extending for 87,00 hectares and containing 21 inhabited communes. The breed is the subject of “studies and research”, undertaken, in particular, by the “Istituto Sperimentale Zootechnico di Sicilia” ( Sicilian Experimental Zootechnical Institute) in Palermo, in collaboration with various regional and national experts and institutions. The origins of the breed are uncertain: according to some it derives from oriental horses imported by the Moors, while others believe it descends from Nordic horses which arrived on the island with the Normans. In the past Spanish, Anglo-Arab and Salertine blood has been introduced into the breed. More recently, it has been crossed with the Hungarian Nonius horse, amongst others. It is a horse for riding and pulling light carriages. Nowadays, it is bred in Sicily in a semi-wild state and used for leisure riding. It is strong and hardy.